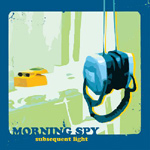 Morning Spy was a San Francisco-based indie pop band invested in electric guitar textures and fuzzy, yet intricate songwriting. 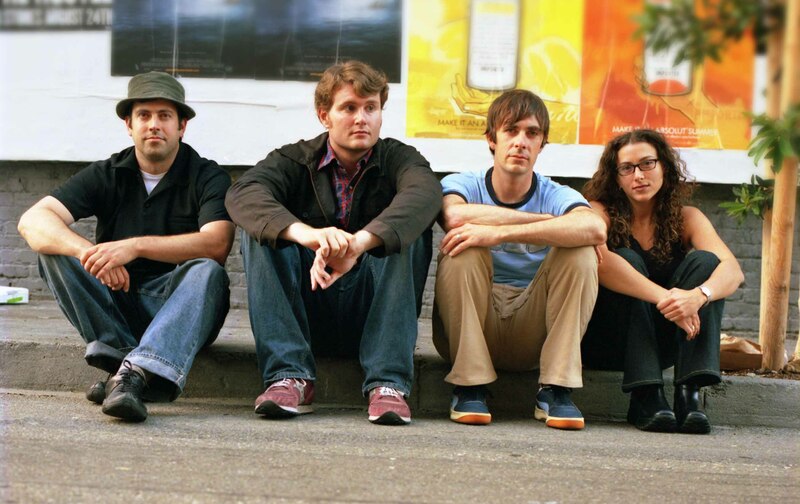 Their debut LP, Subsequent Light, was released to modest obscurest acclaim, receiving positive reviews and eventually earning a spot on a handful of year-end "best of" lists. 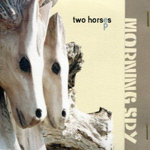 The limited edition Two Horses EP was released by KEEP Recordings soon thereafter to even better reviews. Abandoned Love Records released Morning Spy's third effort, The Silver Age, which draws from much of the modern history of outsider pop - at times evoking early 70's glitter rock, reverb-drenched dream pop, the lo-fi sentiment, heady soundscapes and occasional bombast. 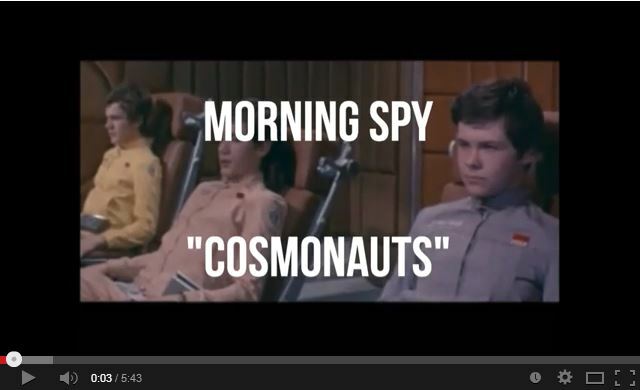 Jon Rooney and Mark Loftin formed Morning Spy as a recording project, adding Allison Goffman on vocals, guitar and keyboard and James Spadaro on lead guitar. 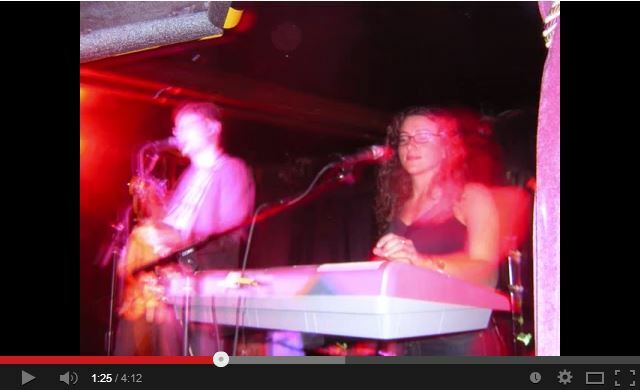 Subsequent Light was recorded by Bart Thurber at House Of Faith Recording Studios in Oakland, CA. 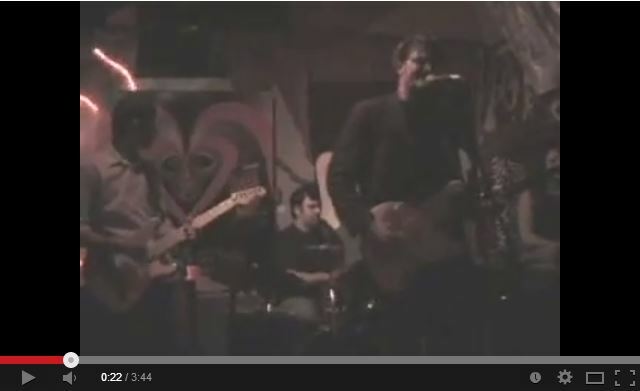 The band recorded Two Horses themselves at their rehearsal space in Balboa Park for release on KEEP Recordings. The Silver Age was recorded at Tiny Telephone by Aaron Prellwitz and Closer Studios by Glynn Durham in San Francisco, CA and mixed by Prellwitz at Tiny Telephone. Morning Spy toured throughout California and, in support of The Silver Age, much of the western United States. 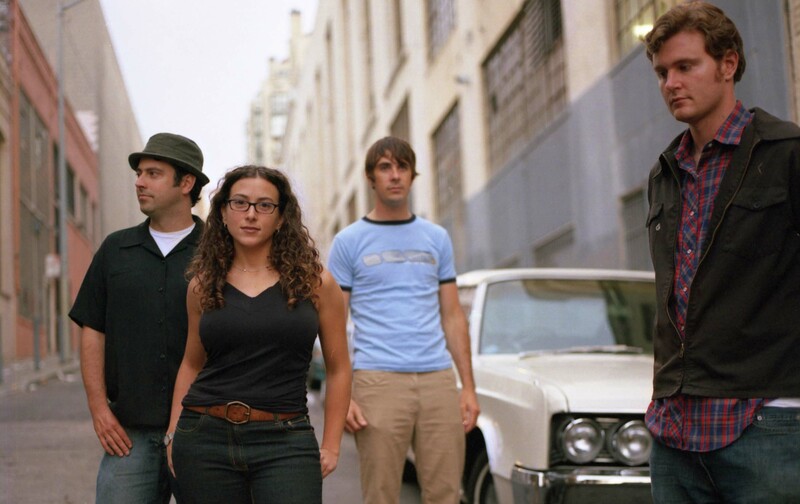 They shared the stage with such artists as Silversun Pickups, the Helio Sequence, Bound Stems, the Ex-Boyfriends, the Dying Californian and Minmae. Their music has received airplay from KCPR-FM (San Luis Obispo, CA), KZSU (Stanford, CA), CIUT-FM (Toronto), KSCU-FM (Santa Clara, CA), KUCI-FM (Irvine, CA), WMUC-FM (College Park, MD), Bagel Radio (San Francisco, CA), Radio XY and Jellyfish Radio and been featured in various television and film projects, including the independant films A Lawyer Walks Into a Bar and Emma as well as the CBS television show The Ghost Whisperer. Jon Rooney writes, records and performs as Virgin of the Birds and runs Abandoned Love Records in Seattle, WA. Mark Loftin has played with San Francisco bands Astral and Foxtail Somersault among other projects. 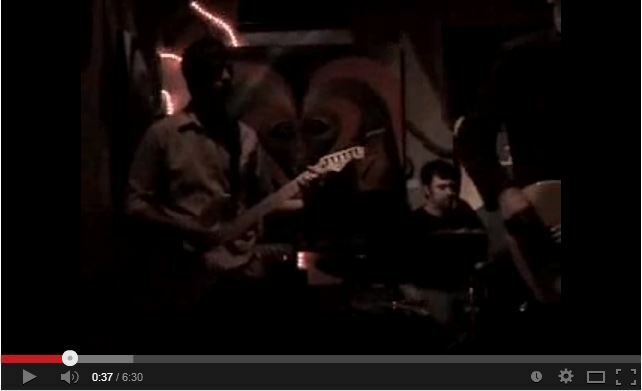 James Spadaro plays lead guitar in Foxtail Somersault. 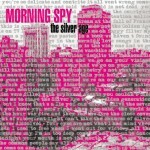 "Morning Spy is making beautifully intelligent pop music …The Silver Age is an excellent record." 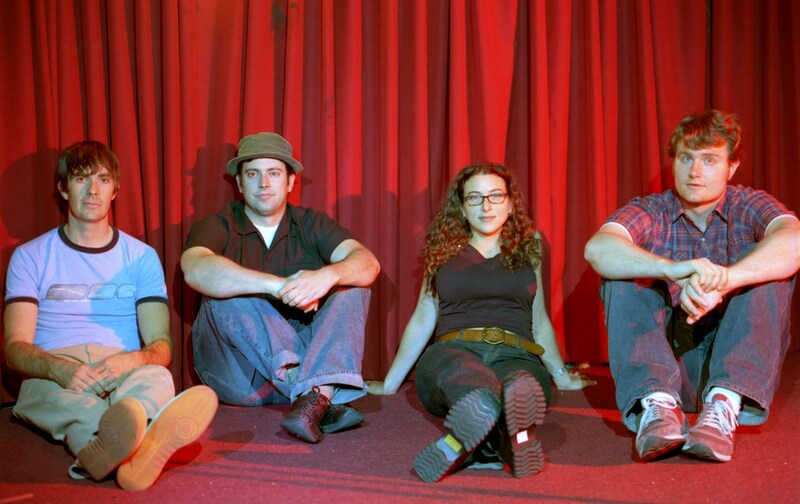 "San Francisco's Morning Spy split the difference between Dean Wareham's Galaxie 500 meanderings and the more focused pop of Luna--weaving through it all contemporary strands of indie rock." "Sugar-coated in malaise and abandonment issues on tape, The Silver Age bounces from the lo-fi indie folk that is gaining more popularity in the underground to the obscure art rock that lays out gorgeous pathways to excellence encouraging other acts to follow"
"The Silver Age is an album full of sweet, dreamy pop music that's inviting and infectious"
"Starting with an already-cultivated dream pop, mid-fi composite, the San Francisco quartet have built on their strengths with a trajectory somewhere between Destroyer and Grandaddy. Their new LP, The Silver Age (Keep and Abandoned Love), shows a quickly developing maturity in songwriting and production, with greater interaction between music and lyrics, and a mix that displays a well-toned sonic physique"
"[Two Horses] is quite simply one of the better EPs I've heard so far this year." "From the spacey pop-rock of [Subsequent Light's] opener, 'I Am the Time' to the somber-sounding Velvet Underground-inspired closing track, 'Cosmonauts,' one really must consider the possibility that Lou Reed had four love-children with Francois Hardy"
"Rooney's use of alliteration and unconventional rhyme schemes make the lyrics to songs such as 'Princess Vancouver,' 'Voices and Vigils' and 'In the Silver Age' stick in the listener's mind and help the music to do the same"
Saturday 8/28 @ The Mile High Club - Oakland, CA w/ Silversun Pickups & Space Mtn.